I’m participating in a book tour with Virtual Author Book Tours. For more stops on the tour check out the bottom of this post. Blogs on the tour will be featuring reviews, author interviews, and giveaways. 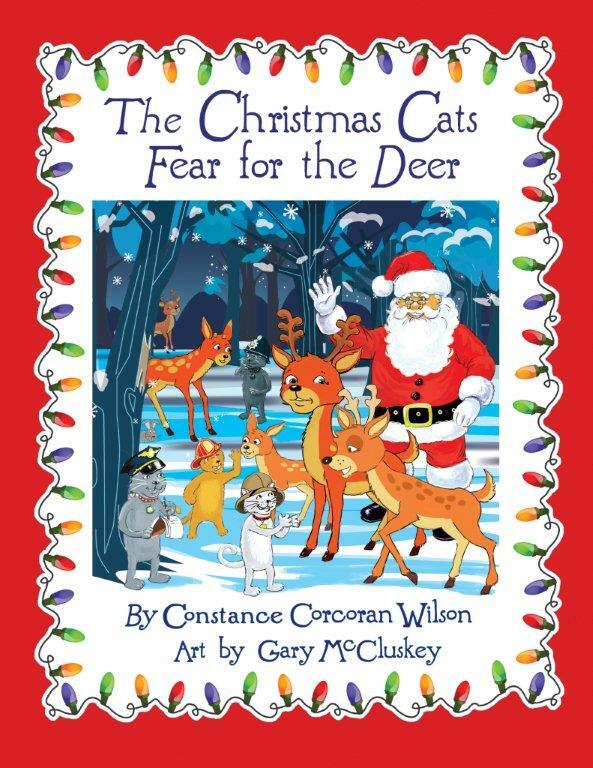 THE CHRISTMAS CATS FEAR FOR THE DEER is the fourth story in the Christmas Cats series. I have previously reviewed the second and third story. To see those reviews, click on the titles of the stories below. This time, the Christmas Cats have to handle a problem involving the deer in a local park. The deer in Scott County Park are harming the trees by eating all the bark. So, the hunters have come out to take care of the problem in the park. 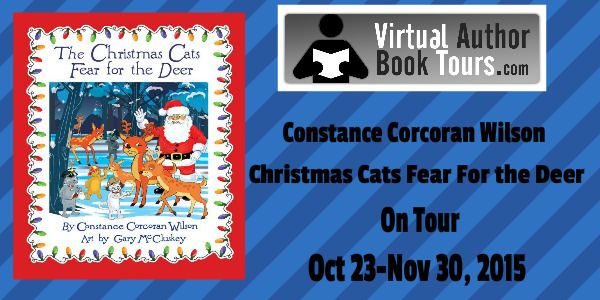 The Christmas Cats are summoned to save the deer from the hunter and find them a new, safe place to live. Many of us adults can relate to the problems deer can cause in our yards and gardens. This story shows the other side of deer desperately trying to find a place to live and eat during the long winter months. Through rhyme and humor, the Christmas Cats are able to find the perfect place for the deer to live that will keep everyone happy. The illustrations are vivid and show the personalities of the cats and the deer. The deers’ faces show fear, disappointment, and happiness without even reading the words on the pages. This story shares the lessons of helping others and the determination to find the best solution. Lower-elementary-aged children will enjoy these tales of the Christmas Cats. This book makes another great addition to the series as well as to your Christmas book library. The end of the book includes a coloring page and maze. For additional fun and games related to the books in the series, visit www.thexmascats.com. Constance Corcoran Wilson with her granddaughters. Constance Wilson graduated from the University of Iowa with a degree in English and Journalism, but she began writing for her hometown newspaper in Independence, Iowa, at the age of ten. Connie holds a Masters in English, Journalism, and Education. Her career path led to teaching 7th and 8th-grade language arts and teaching writing at colleges and universities. She lives in East Moline, Illinois with her husband, Craig and with her son’s family in Chicago. 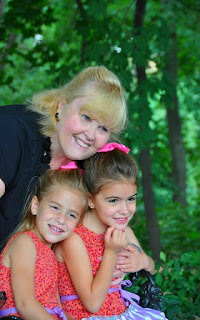 Her two granddaughters Elise and Ava are the inspiration behind each of these stories and have contributed numerous story ideas. For more, visit the author’s website, www.conniecwilson.com. You can also find the author on Twitter, HERE. 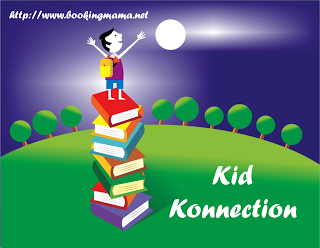 I will be linking up this review with other bloggers on Booking Mama’s Saturday feature, Kid Konnection. Click HERE to see other great posts about children’s and YA books from other bloggers. Thanks to the author for sending me a copy of this book for the purpose of this review. This review is my honest opinion. I was not compensated in any way for this review. If you choose to purchase the book through the above link, I may receive a small commission without you having to pay a cent more for your purchase. Thanks for supporting SincerelyStacie.com. Thanks for taking part in the tour. I'm glad you enjoyed 'Christmas Cats Fear For the Deer'!